First Tsukiji Market Auction of 2017: tuna price peaks at 74 Mio JPY! First Fish Auction of the year at Tsukiji Market in Tokyo, where the first red tuna (maguro)of the year 2017 (212 kg) was sold for as little as 74.2 Millions JPY (about 605.000 Euros), the second highest price since the record breaking price of 155.4 Millions JPY in 2013. 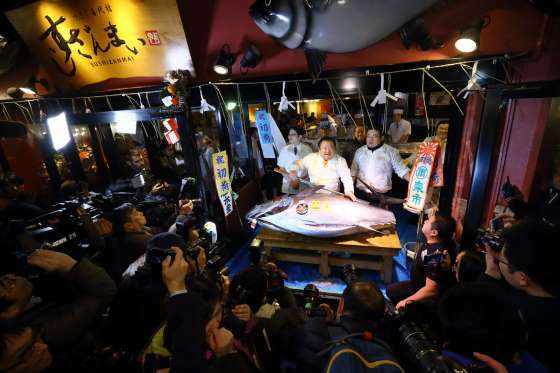 For the sixth time, it is the restaurant chain “Sushizanmai”, headed by Mr Kiyoshi Kimura, who bought the giant tuna fish. At this level of prices, it’s time to become a fisherman and to learn more about red tuna fishing!! 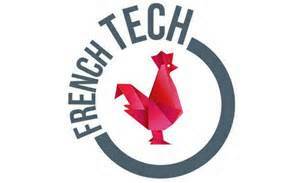 French Tech Tokyo : a bridge to the new “Start up Republic”? “In recent years, the French startup ecosystem has enjoyed incredible momentum, driven by a new generation of entrepreneurs, investors, engineers, designers and many other talented individuals. France has been called a new “Startup Republic”, dotted with thriving hubs and talent that are vehicles for a robust entrepreneurial mindset. This can be easily seen in Paris with its numerous innovation stakeholders, and where a strong political will acts as a driving force. The city is quite simply bubbling with activity, with over 40 business incubators, 80 coworking spaces, 20 fab labs, close from 1,500 startups being set up annually, and a growing number of success stories. Today, there is an exceptionally strong impetus in Paris and this has been acknowledged and heralded by international rankings. Interested in investing or joining? European cuisine in Japan. Haven’t you booked yet?